Help Baby Litan Get a Crainotomy Surgery. 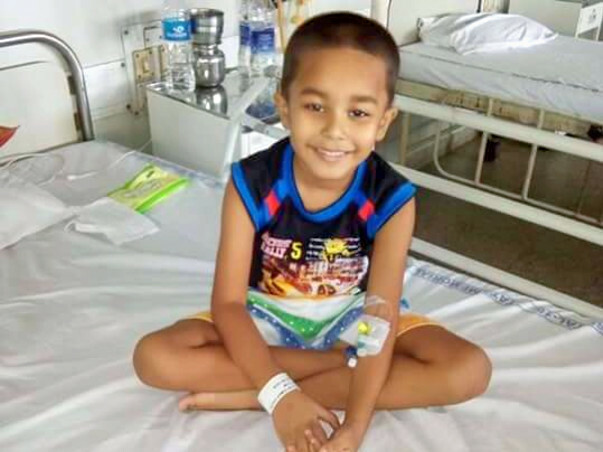 Baby Litan kuma Kalita about 5 years old suffering from Cancer, son of Parag Kalita and Arunima Kalita of Boko ,Bhalukghat oc Kamrup. 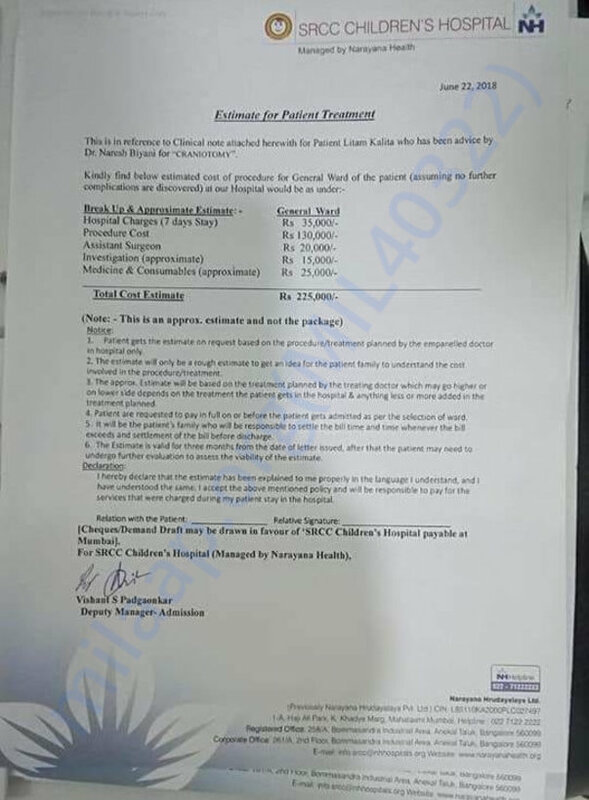 He already done twice operation for remaining tumar removal need urgent operation amount of 2,25000. The economic condition of hiz family is noot good. 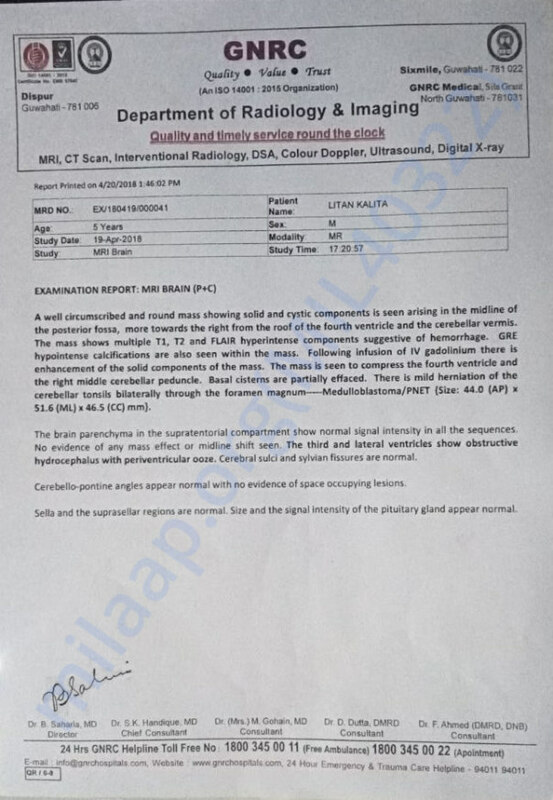 So need urgent help for operation. 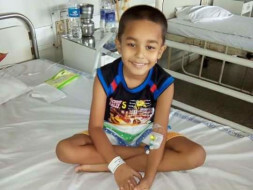 They after knew facing problems of child visited GMCH and diagnosis with cancer.After second operation for better treatmentnow refferd to Tata Memorial hospital, Mumbai. Thanks for support. Litan had a successful surgery. Thanks mialap for providing little help. Thanks to all the donors.